Our handpicked selection of fine baby bibs is competitively priced and of the highest quality. Rabbit Skins and BELLA + CANVAS are reputable brands that know their 'baby' stuff. 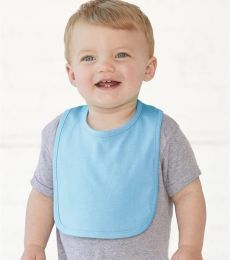 We have chosen bibs that vary from the Rabbit Skins Infant Self- Adhesive 100% cotton Bib to the Rabbit Skins Terry Snap Bib; these two not only vary in fiber, and closure, but colors and style. The Bella Canvas 170 Reversible Bib is everything you need in a bib, with a black contrasting outline and 100% ring spun cotton. All bibs are perfect for screen printing. 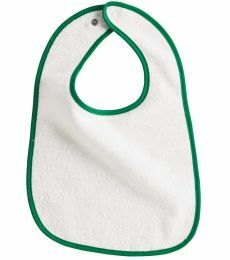 Check out our decorative services and make Blankstyle.com be your one-stop shop for custom printing and infant bibs!